Underhill UltraMax Red hose employs the highest standard of precision engineering in design and manufacturing. 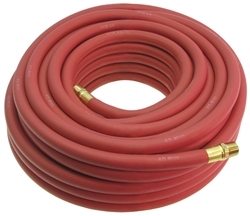 UltraMax Red is the ultimate choice for long life under heavy use. . made of EPDM synthetic rubber and reinforced with spiral synthetic yarn for extra strength under high working pressure. Don't settle for less, choose the best!